Sometime this evening, the feature list for PlayStation Vita's Hot Shots Golf: World Invitational will get a major – and free! – update. Update 1.04, the PlayStation Blog reveals, takes the previously Ad-Hoc only Stroke and Match modes and brings them to the world wide web (that's where you are now, reading this!). More control for tournaments will also be included in the update, allowing for private tournaments for up to eight players and trash talk via in-game text chat between holes. Whereas before you could only play in Real Mode tournaments that were open to all, now you can create private tournaments for you and up to seven friends, as well as private rooms in the online lobby space. Out on the course, you'll be able to see your opponent's ball after each shot, and between holes you can also use text chat to communicate with your friends, on the scorecard screen. Previously Ad-Hoc only. A head-to-head competition for two players, where the golfer with the best results at the end of a round wins. You'll be able to chat with and heckle your opponent between holes. Previously Ad-Hoc only. This is also a head-to-head competition for two players, but this time it's the first competitor to get to 3UP status during a round who wins. Once more, chat and heckling is possible between holes. Players will now be rated G0 (strong) to G4 (novice) depending on their online performance. Rank will act dynamically, with players ranked according to their performance in official tournaments with more than ten participants. 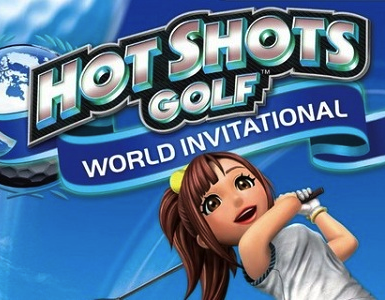 This way, novice players can play without the fear of being completely decimated, while experienced players can compete with other skilled golfers. In Daily Tournaments mode, there will now be one game per day - a reduction from the previous three - so that each Tournament will be more focused and exciting. One season is equivalent to seven days, with a variety of rankings measured per week. These include a Weekly Champion and Top 10 rankings. Let us know what you think of free updates like this in the comments below!